Content is still king. But it's only part of the story. Every good marketing story needs a moral – the action you want from your reader. So before the telling, decide the goal. Make your story work. With my decades of writing content and developing information architecture, I know what works online. Some objectives call for long copy. Others call for short. Some will work on social media, some not. (There are few free rides.) All goals call for mutual interest. So let's make it fresh, interesting ... and pointed. In addition to writing websites of all kinds, I've built and helped plan many. I even webmaster a few. I've also participated and helped run social media groups, and written online whitepapers, and hundreds of articles short and long, on a wide variety of subjects. Over the past several years, I wrote a wide variety of articles on topics related to voice-acting, hearing, marketing and cognition. Many sites have changed over time, so please scroll down for descriptions, a cross-section of my work. Contact me and I'll be happy to show you details. 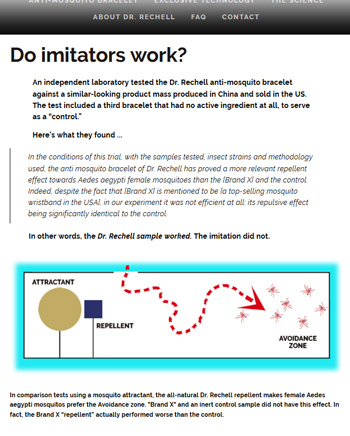 I wrote the copy, advised in establishment, handled promotion, and administered the site (graphic design not mine). I also did the Search Engine Optimization (including page descriptions and Alt text for each image) and other Search Engine Marketing, with a lot of success at the time. This recording studio specializes in spoken-voice recording, production and voice-talent training. Working directly with the studio owner, developers and staff, I've written and advised on sales, editorial and other content. For several years I wrote weekly articles on subjects related to the voice-over field, including performance, business, technical, perception and health. Extensive organic Search Engine Optimization work to specs. I also write a monthly evaluation of performance-contest entries. Have edited articles by other authors, and prepared promotional text for personal appearances, etc. 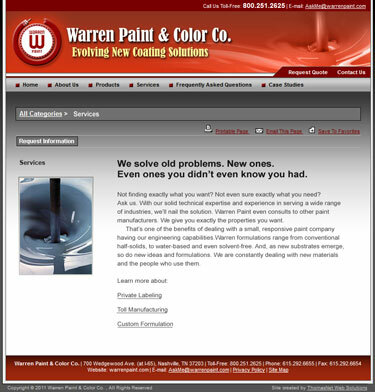 For the website of this manufacturer of specialized paints and coatings, I incorporated new information, condensed and edited the old, honed site architecture, organized products and details, and personalized the sales message of a wonderfully hands-on company. The job included planning for additional site elements to come. For other industrial copywriting (online and print), search my portfolio for "industrial." This international group of companies that makes machinery for converting (creating) and packaging paper and tissue products -- reams of paper, paper towels, passports, etc. In a comprehensive redesign and improvement of their site, KPL and their U.S. developer (TechKnowSys) asked me to handle much of the English language content. The job involved writing, rewriting and editing translations, also advising as to usability and other matters, and "Americanization." Please note, I did not write everything at KPL.net and its related sites, and the parent company has since sold off some its subsidiaries. The divested companies' sites have changed along with the companies' various identities. If you have any question, please contact me. I wrote the brochure/sales kit for this help desk and systems consulting firm. They converted the brochure into a website. Literally, brochureware. For other technically-oriented online and print copy, search my portfolio for "technology." For details about this project, please contact me. The site currently online has evolved since I wrote it and their brochure. I structured the architecture and wrote this site for a solo law firm specializing in commercial real estate, based on extensive input from the client. This one won't make me famous for interactivity, but the priority on every project is to tailor it to the needs of the site's owner and its users. After all, that's the most important type of interactivity. 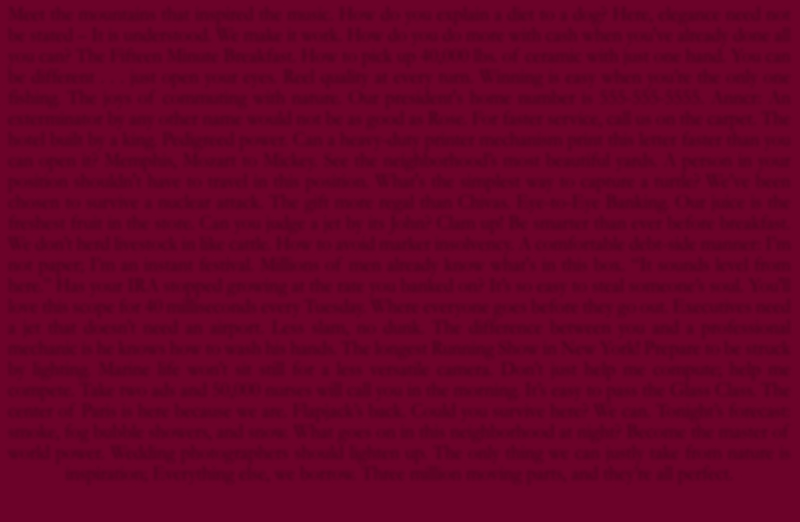 An online sales-letter page (also known as a "microsite"), promoting a limited-attendance retreat for writers. If you'd like to know more, please give me a call. E.G. Smith is a long established brand of casual and fun socks and tights. I built this flagship site, administered it, wrote and edited the copy, and assisted in related marketing. The look and tone of the graphics and copy are intentionally un-flashy, in keeping with the brand personality and an extension of the packaging style. The cart software required a splash page, but I implemented a work-around that allowed the site to be entered on any page. We completely replaced this Colorado real estate agent's old site, adding a lot of new copy and details. I wrote most of it, edited the rest, and collaborated on architecture. It took awhile but was worth it. Credit the developer, TimeForCake, for the technical stuff, including another great job of coding and graphic design. For details about this site, please contact me. As so often happens in Real Estate, the client's business relationships and site requirements have changed, and therefore so has the site. A very large brick-and-mortar gift shop. It even had a U.S. Post Office inside. I also wrote the store's radio and TV commercials, produced by their local stations. "Awesome work, oh great wordsmith! It's fun brainstorming with you, and you've provided some great insights. 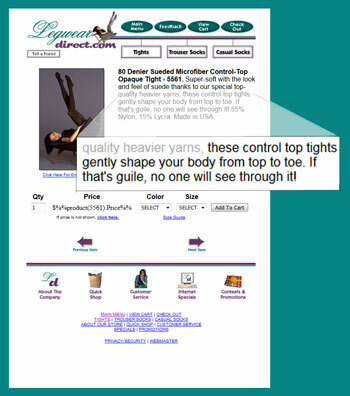 When you write site copy it's in good hands... thanks a million!" -- Ken Evoy, President & CEO, SiteSell, Inc.
A product very popular in Europe. How would it do in the U.S.? I was asked to create several websites to support this marketing initiative.